Submitted April 2014 by Allan Macintyre, whose father, Donald Macintyre, commanded 'D' Company, 5 South Staffords (177 Brigade). He was awarded the Military Cross for his part in the 59 Division's first action in Normandy on 8/9 July 1944 at Galmanche. 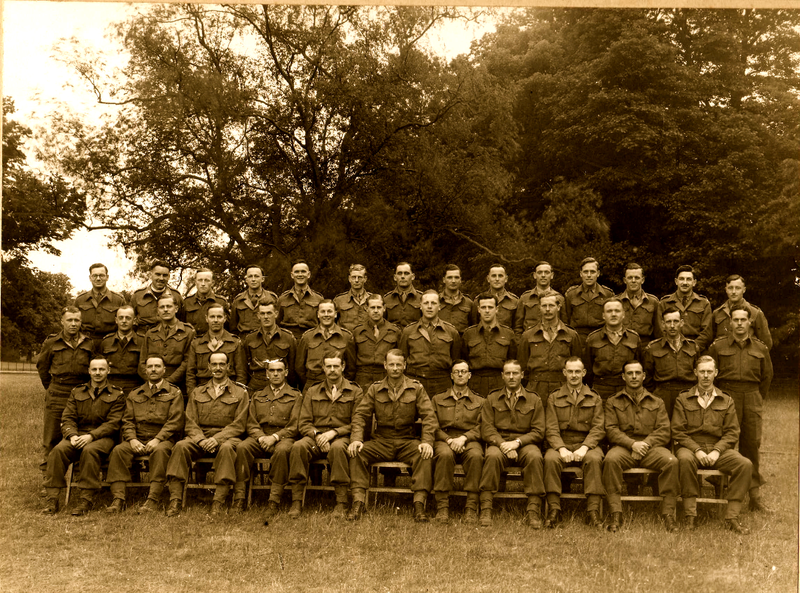 Officers of 5 South Staffs taken in the immediate period prior to going to Normandy. 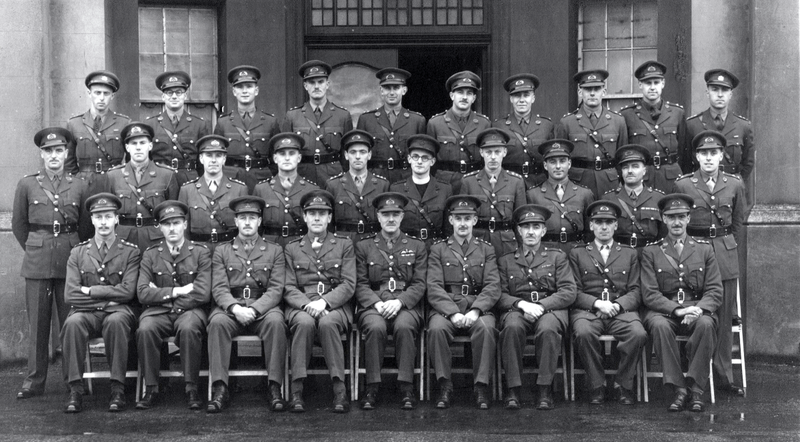 Major Donald Macintyre is seated in the front row, third from the right. On the 6th June, 1944, I was privileged to attend the Division's Service of Dedication in Canterbury Cathedral, and can confirm the Divisional Commander's reference to the choice of that day being a happy coincidence; for I know I had accepted his invitation sometime before even I knew when 'D' Day was to be. I am proud to have been present at that stirring service, and to have taken the salute afterwards. Officers of the 5th South Staffs. Point of interest: The officers at the extreme left and right in the back row were Czechs who were attached to the battalion. The individual on the far left achieved high rank in the Czech army. Neither of these officers were with the battalion in Normandy.